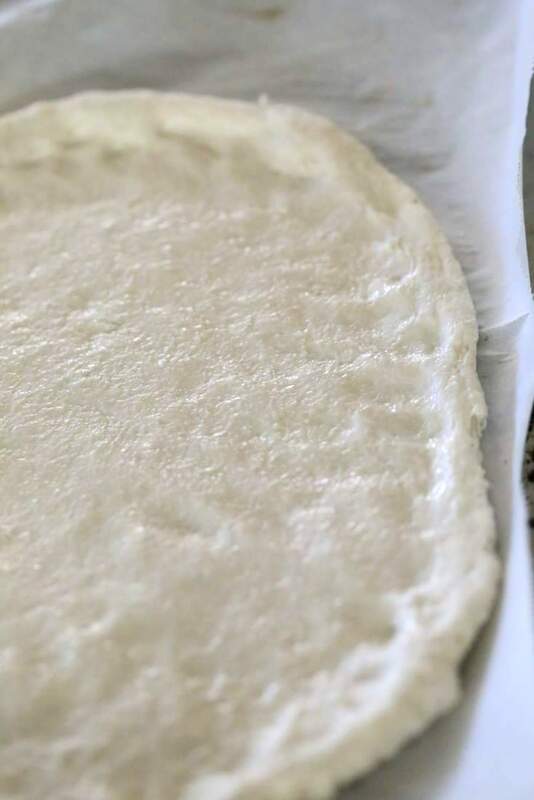 Easy Basic Pizza dough. You can build it up from here to use other flours, add herbs and garlic and more. This is a rustic pizza crust. shape it as you like. Keep a thick outer crust to hold in the sauce. You can make the dough with half white and half whole wheat flour. For herbed crust, add 2 tsp of italian herbs or add 1 tsp garlic and 1/2 tsp pepper flakes. 1 hour thin Spelt Crust. Focaccia style crust with quinoa. 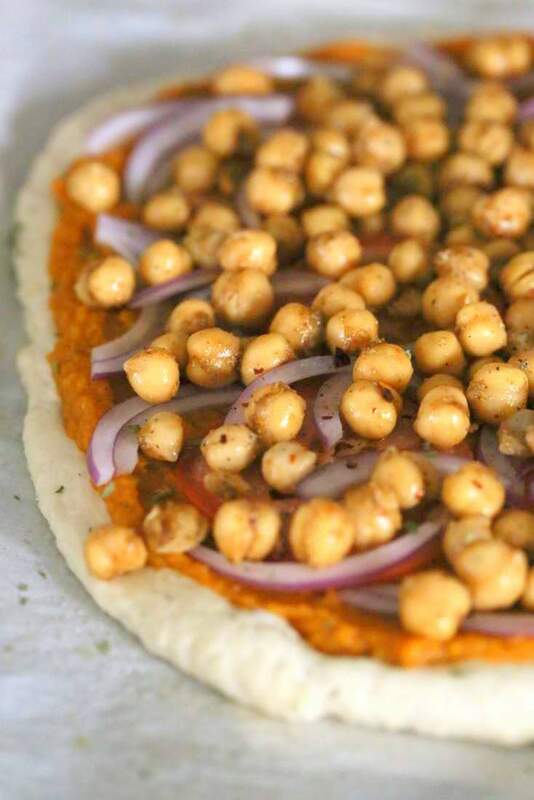 Gluten-free Yeast-free Chickpea flour based Crust. GF Pan Pizza Crust. Soft and airy. Mix the warm water, yeast, 1 cup flour into a batter. Let the batter sit in a warm place for 20 to 30 minutes. Add salt + flour and knead into a soft somewhat sticky dough. Place dough on parchment. Using flour roll it out or use hands to shape it. Spray water on the rolled out dough and let it sit for 5 to 10 minutes while you gather the toppings. Add your favorite sauce, toppings, herbs. Bake for 15 minutes. Broil to brown the edges if needed. Warm 1 cup of water until warm to touch. 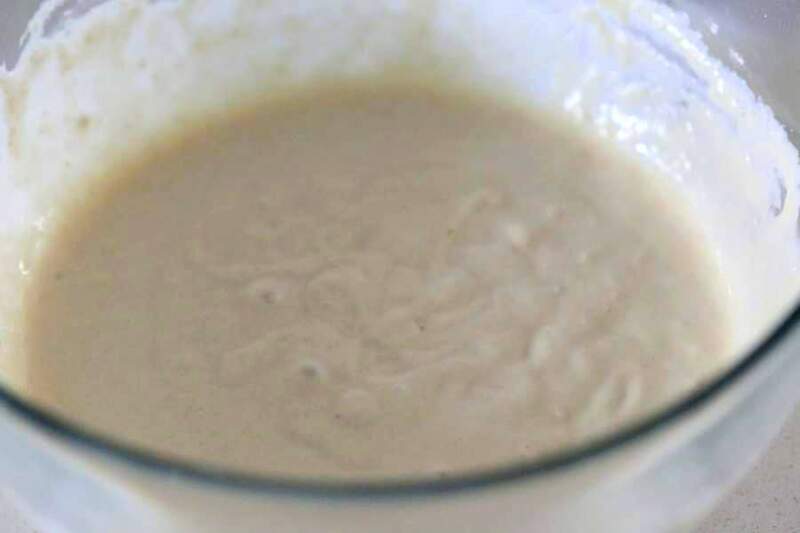 Mix the water, yeast, sugar and 1 cup flour in a bowl. Mix for 1-2 minutes until smooth and somewhat stringy. Cover and let sit for 30 minutes to an hour, while you prep the toppings.. Mix the salt into 2 cups of flour. Add 1.5 cups of this flour to the bowl and mix into the batter until well combined. It will take a minute or so to incorporate. Add flour 2 or so tbsp at a time until the dough is not too sticky but well formed. Get your hand in there to mix. Gather the dough into a somewhat smooth dough and knead for another minute. If using oil, add 2 to 3 tsp olive oil or other oil and mix in. Use flour to roll out the dough between parchment sheets or use floured hands to shape the crust. I usually use my hands. Keep the edges a bit thicker. Roll it out as thin or thick as you like. To roll out thinner, roll or spread and then let the dough rest for a minute in between, then roll more. Preheat the oven to 425 degrees F. Spray water on the shaped dough and let it sit near the warming oven for 5 to 10 minutes. Top with sauce, veggies and layers of choice. Bake for 14 to 16 minutes. Broil for a minute to brown if needed. Variations: Add 1/2 tsp dried or 2 tsp fresh oregano or other herbs at Step 2. Add 1/2 tsp garlic powder for a white garlic crust. 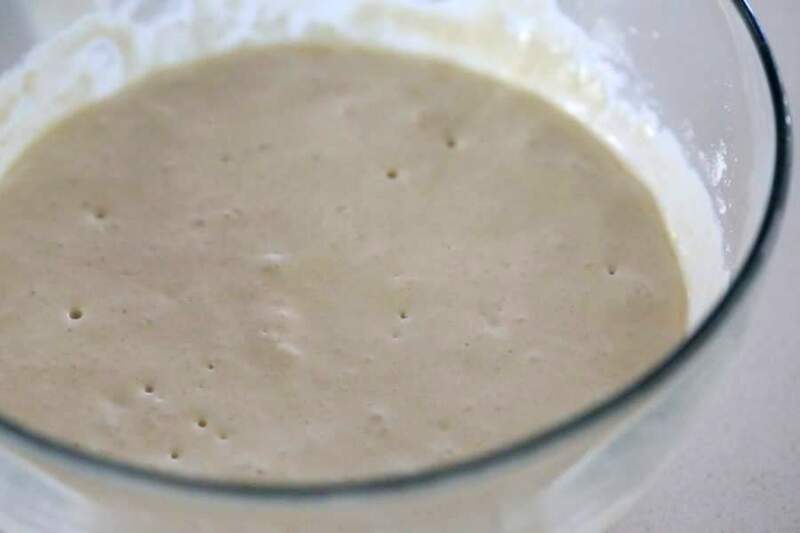 Aquafaba: For soft crust, Use 1/4 cup aquafaba + 3/4 cup warm water instead of 1 cup water at step 1. Aquafaba or liquid from a can of chickpeas, will keep the crust soft. Have you tried this with gluten free flour and had any luck? I have gluten-free pizza crusts on the blog. 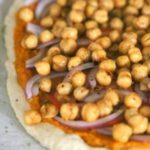 Updated this post with a few links or Try this one http://www.veganricha.com/recipe-pages/vegan-gluten-free-pizza-crust-recipe . I use this recipe ALL the time! During step 1, I always add about 1/2 teaspoon of sugar to give the yeast something extra to feed on.. and during step 2, I’ve been adding lots of garlic powder, onion powder, Italian seasonings mix, and about 1/4 cup of nutritional yeast! Great! Thats a load of nooch 🙂 there is 2 tsp sugar added at step 1. do you add a 1/2 tsp more or just 1/2 tsp total? Is it because the dough shrinks when you roll it out? or because it is too stiff to roll out thinner? If the dough generally comes out too stiff, add a bit less flour(or add more water) while kneading for a softer result, which can be rolled out thinner on parchment. Flours are all different in liquid absorption, so sometimes that needs adjustment depending on what works for you. If it shrinks, which is because of gluten development during kneading (the more you knead, the more elastic it will be), what you can do is moisten the parchment and place the dough on it. Then spread it using hands or roll it out (with another parchment on top), let the dough rest for a minute, and then spread it once more. The rest in between allows the dough to settle in that shape instead of trying to shrink. You can do this without parchment as well. Roll, rest, roll again. Hope this helps! 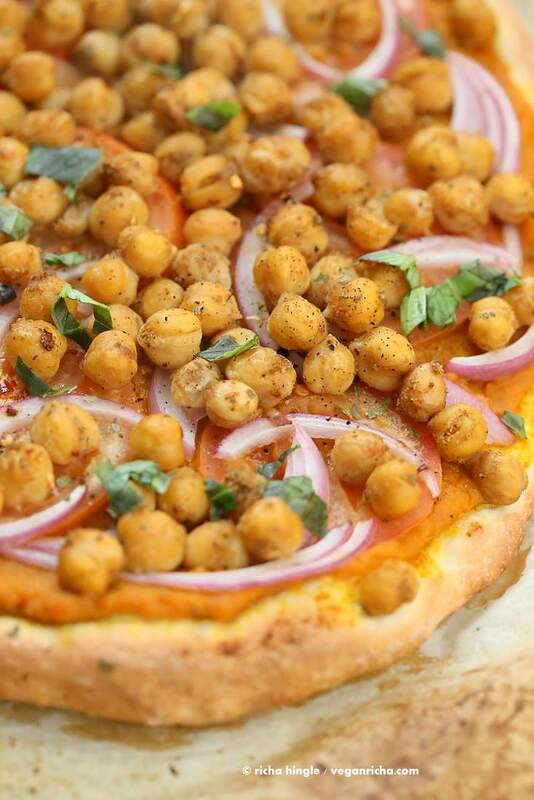 I clicked on this pin for the pizza dough recipe and got so excited when I saw those chick peas on that pizza. I’ve never seen that and now I must try. I really loved this recipe! The sauce was delicious and I loved the crunch of the onions. I used a store-bought tortilla for the crust to save time… then I made another one for breakfast the next morning! What happens if u use the whole amount of dough and u dont split it into 2, should i cook it for longer? it would make a really big pizza. Bake it 22 to 24 minutes. yes you can use all whole wheat flour in this recipe. you will need a bit less flour. yes.. Place the dough after first rise in the freezer and freeze for up to 3 months. 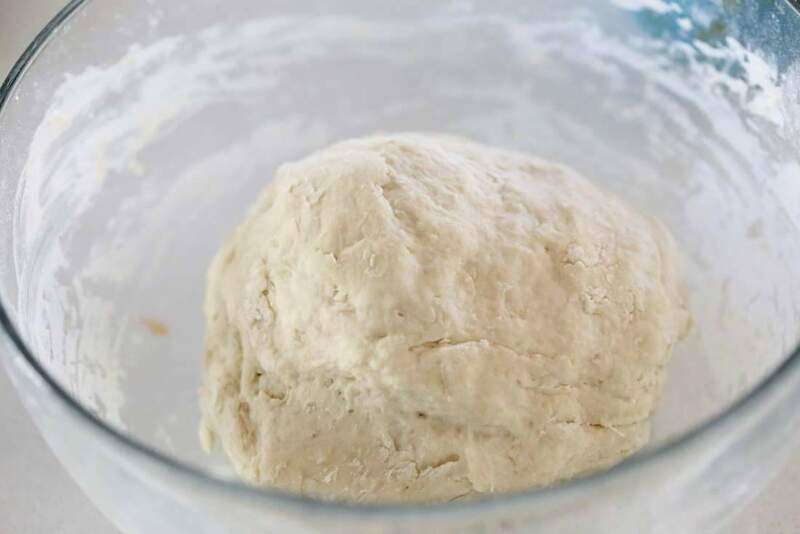 When ready to use, put the ball of dough in its bag in the fridge to thaw for overnight then 1 hour rise on the counter, or thaw on the counter for 2 hours. Using this recipe was my first attempt at making pizza, although I didn’t eat the pizza (bc I made it for my boyfriend and topped it with actual mozzarella and sausage), he said it was pretty good. I was a little leery bc the dough looked like it wasn’t brown enough and the mozzarella was getting slightly burned but when it came out it was nice and crispy. The pizza held up and it looked tasty. I used half of the dough for his pizza and saved the other half to make cinnamon rolls. I let them rise for quite a while (probably close to 2 hours) and I was surprised as how much they fluffed up! They are currently baking and I can’t wait to try the finished product! Awesome! the color depends on your oven and if has hot pockets etc. You can put it on broil for a minute to brown in the end. This dough is AMAZING. I’ve been adding herbs at step 2, pre-baking for 10 minutes before adding the topping, and then topping with a vegan spinach artichoke dip. The pizza comes out so delicious! Is your serving suggestion an an entire pizza crust? 700 calories seems like a lot, especially for just the dough. I don’t make a habit of eating an entire pizza in one sitting unless your dough only makes 2 personal sized pizzas.